Remote temperature measurements require a versatile thermometer with a remote probe that can be used in hard-to-reach spots. The meter must also be easily readable at an angle. 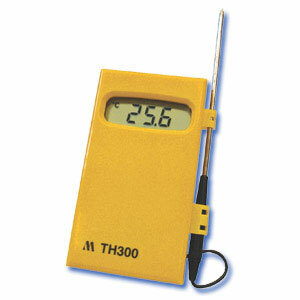 TH300 is equipped with a stainless steel general use probe and 1 meter cable to make remote reading a simple task.